Big mature bucks are hard to come by in the Southern woods. If anyone was keeping score the big bucks would be dominating the win category. I have kept logs of my deer hunts over past seasons and I have found it takes me an average of 30 hours in the deer stand to bring home a mature buck. Some years, like this current year, the numbers look a lot better, but there have certainly been years when they looked a lot worse! 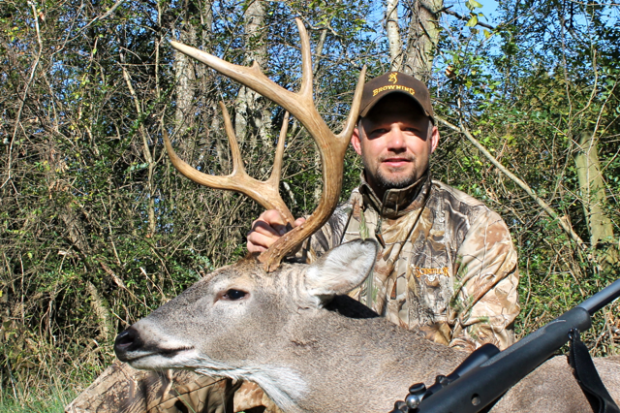 Most deer hunters will eventually cross paths with a mature buck, but it takes a dedicated, experienced and skilled hunter to consistently drag big bucks out of the woods each year. I define mature bucks in my area as anything 3 1/2 years and older. If I were hunting in an area with less pressure and more restrictive limits, I would bump the age up to 4 1/2 years and older. 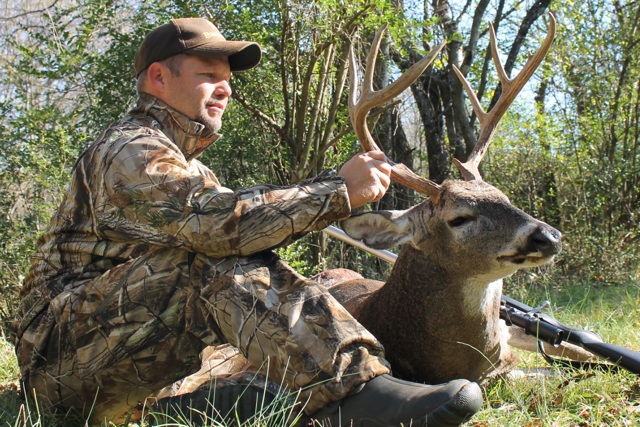 There are endless strategies for hunting big bucks, everyone has their favorite. Manufacturers spend big money to advertise the latest and greatest gear hunters need – deer calls, deer scents, cover scents, camo patterns, scent reducing clothing, deer stands, firearms, ammo, range finders, optics, etc. While improvements in the technology of our gear are helpful – I think the most necessary tools for killing a big buck cannot be purchased. 1. Know when and where to be in the woods – the more you hunt the more you develop an instinct for knowing when to be in the deer stand and where to set up to see a mature buck. Having your finger on the pulse of the rut is not an easy task – especially if your hunting opportunities are limited, but timing your hunts around peak rut activity will greatly improve your chances. 2. Hunt the wind – this is the same advice your Granddad gave you. It is wisdom. If the wind is not right, don’t hunt the stand. Its simple, but all to often hunters ignore the wind direction – some lessons have to be learned the hard way! I recall years ago watching a buck downwind of me through optics about 500 yards away. He was working his way towards me on a major powerline. At about 350 yards, he stuck his nose in the air and caught a whiff of me and immediately turned and retreated to cover. I was in a set up to see this buck because of the perfectly straight and long powerline, but just think how many bucks have winded you that you never had a chance to see. 3. Old-fashioned patience – pure and simple, you can’t kill a deer if you are not in the deer stand. In an age of instant gratification, being patient is not easy. There is no substitute for staying in the stand and spending time in the woods. I was able to fill my final Tennessee buck tag with a black powder nine pointer. I had seen this buck at least three times before, but was unable to take a shot. Twice he was running full stride in pursuit of a hot doe and I was unable to stop him. The third time I saw him, I was had him in the cross hairs at 40 yards, but the shot would be through thick cover and I chose to wait. The morning I took this buck, I could hear him in a cedar thicket across the field all morning long. He was chasing does and grunting loudly. I knew it would simply be a matter of time before he popped out in to the field. After waiting on him for 2 1/2 hours, he suddenly appeared chasing a doe into the food plot. As quickly as they appeared, they suddenly disappeared running back into the cedar thicket. It’s not my preference, but I decided my only option would be to shoot this buck on the run the next time he appeared. Another ten minutes passed and with a string of crashes the doe and buck reappeared in the food plot, but this time they turned and headed in my general direction. At about 60 yards, I grunted at the buck and then yelled to try to stop him, but he paid no attention to me and continued running after the doe. I swung smoothly as the buck ran past my stand and was fortunate to fire a killing shot.